This comprehensive definition of Alcoholism was published by the Journal of the American Medical Association in 1992. This definition was prepared by the Joint Committee to Study the Definition and Criteria for the Diagnosis of Alcoholism of the National Council on Alcoholism and Drug Dependence and the American Society of Addiction Medicine. Approved by the Boards of Directors of the National Council on Alcoholism and Drug Dependence, Inc. (February 3, 1990) and the American Society of Addiction Medicine (February 25, 1990). "Alcoholism is a primary, chronic disease with genetic, psychosocial, and environmental factors influencing its development and manifestations. The disease is often progressive and fatal. It is characterized by continuous or periodic: impaired control over drinking, preoccupation with the drug alcohol, use of alcohol despite adverse consequences, and distortions in thinking, most notably denial ." Primary refers to the nature of alcoholism as a disease entity in addition to and separate from other pathophysiologic states which may be associated with it. Primary suggests that alcoholism, as an addiction, is not a symptom of an underlying disease state. Disease means an involuntary disability. It represents the sum of the abnormal phenomena displayed by a group of individuals. These phenomena are associated with a specified common set of characteristics by which these individuals differ from the norm, and which places them at a disadvantage. Often progressive and fatal means that the disease persists over time and that physical, emotional, and social changes are often cumulative and may progress as drinking continues. Alcoholism causes premature death through overdose, organic complications involving the brain, liver, heart and many other organs, and by contributing to suicide, homicide, motor vehicle crashes, and other traumatic events. 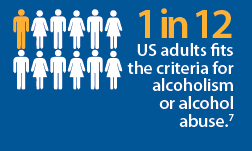 Impaired control means the inability to limit alcohol use or to consistently limit on any drinking occasion the duration of the episode, the quantity consumed, and/or the behavioral consequences of drinking. Preoccupation in association with alcohol use indicates excessive, focused attention given to the drug alcohol, its effects, and/or its use. The relative value thus assigned to alcohol by the individual often leads to a diversion of energies away from important life concerns. Adverse consequences are alcohol-related problems or impairments in such areas as: physical health (e.g., alcohol withdrawal syndromes, liver disease, gastritis, anemia, neurological disorders); psychological functioning (e.g., impairments in cognition, changes in mood and behavior); interpersonal functioning (e.g., marital problems and child abuse, impaired social relationships); occupational functioning (e.g., scholastic or job problems); and legal, financial, or spiritual problems. 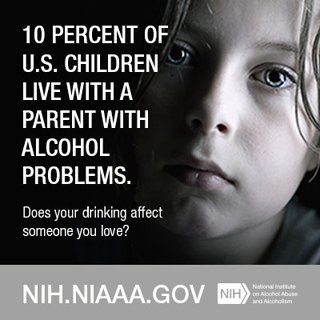 Denial is used here not only in the psychoanalytic sense of a single psychological defense mechanism disavowing the significance of events, but more broadly to include a range of psychological maneuvers designed to reduce awareness of the fact that alcohol use is the cause of an individual's problems rather than a solution to those problems. Denial becomes an integral part of the disease and a major obstacle to recovery. 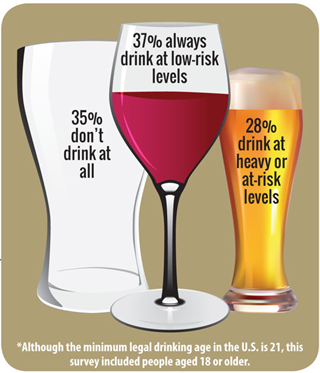 This information on ALCOHOLISM AND THE MEDICAL DEFINITION should be considered as educational and informational in nature -- and is not intended to be a substitute for professional, medical, or clinical judgment, treatment or diagnosis.